Video: Moto Z DROID Moto Mods Tour! Now that we are back from our Moto Z DROID meeting in NYC and have the new Moto phones in house, along with their launch line-up of Moto Mods, we have a big ol’ modular-focused tour to share with you. Thanks to Motorola, we walked away with not only the Moto Z DROID and Moto Z Force DROID (unboxing here), but we have Moto Mods like the JBL SoundBoost speaker, Moto Insta-Share Projector, Tumi Power Pack, and Style Shell as well. In the lengthy video below, we’ll show you how this whole modular thing works inside-and-out. From attaching and detaching modules to charging them and updating their software, this video covers it all. 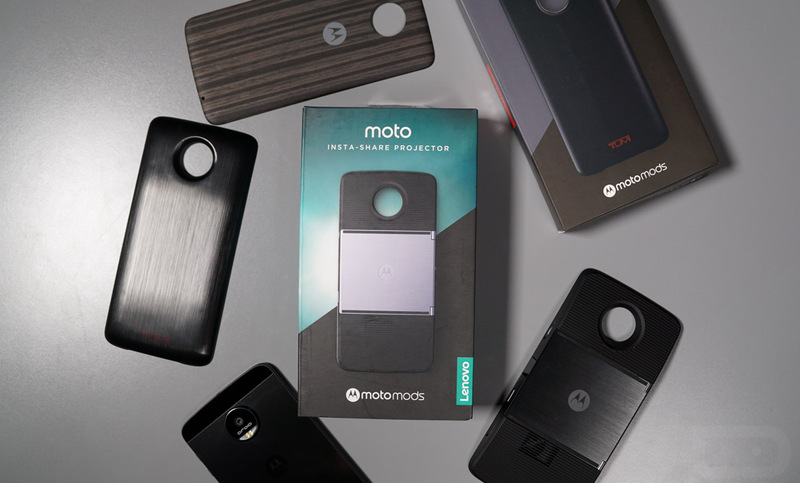 We even have a Moto Mods carrying case to show you, in case you plan on catching them all. Let us know if you have any Moto Mods questions after watching!